Born in 2007, Captain Fin is an art driven surf and sea supply company influenced by southern california beach culture. Their relaxed style keeps the fun alive with a unique aesthetic for the beach and beyond. A friend of mine was like “oh, we should make fins for you.” I was like “that would be cool, do you think we could put any graphics on them?” I was and still am a huge skateboard fan—love graphics on skateboards. It was always fun to see as a kid your favorite skaters coming out with new graphics on their boards. 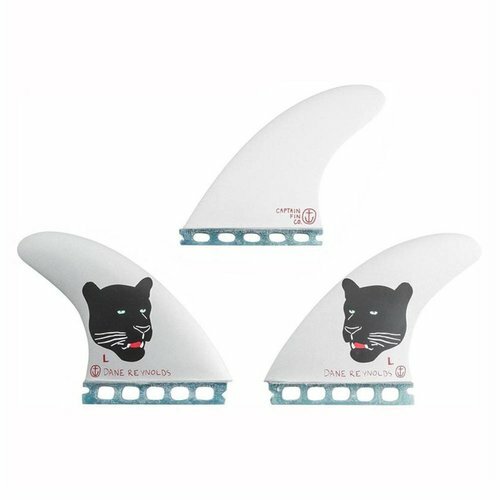 I thought it would be rad if you could get surfers to get their graphics on the fins like a skateboard. I thought nothing of it, if it was a place in the market that needed it or a big sale. I just liked it. "